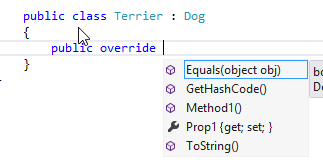 In a derived class, you can override a member of the base class if it’s declared as virtual. 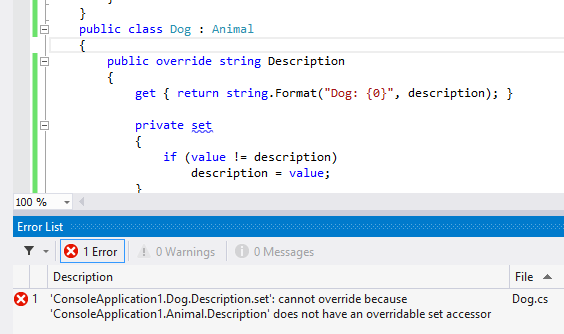 In Visual Studio, the Intellisense feature can help you to discover the methods that can be overridden. 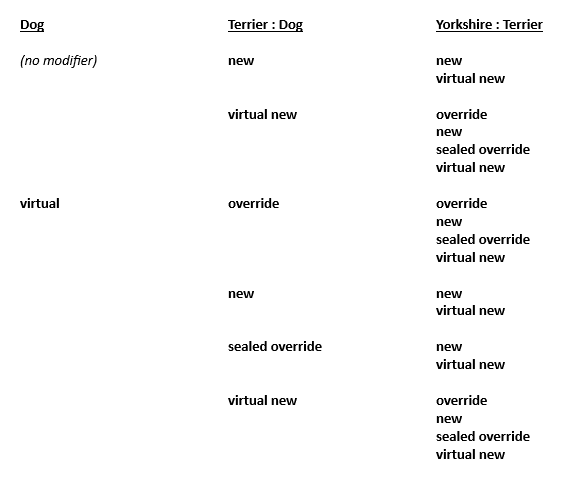 Now when we are adding code to a child class of Dog, we can just enter the keyword override, followed by a space, to see a list of candidate members that can be overridden. To add the code for one of these members, just use the down arrow to select the method and then press TAB. The body of the method will be generated for you.